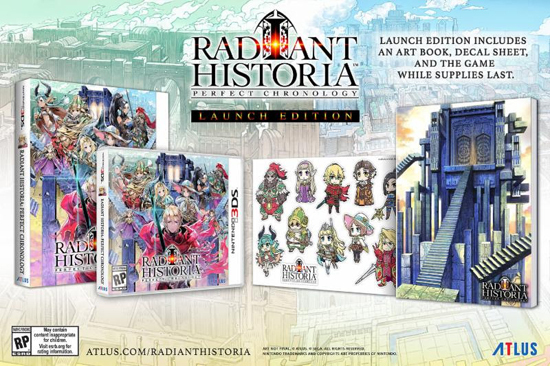 Those who pre-order or snag limited launch copies of Radiant Historia: Perfect Chronology will be able to commemorate their escapades through different timelines with some pretty nifty goodies (Americas only). There'll be an exclusive art book (we'll reveal more details in the future) and a decal set that features some key figures from the game like the stoic Alistel agent Stocke, faithful confidants Raynie and Marco, the tough-as-nails Rosch, and other familiar faces. Changing the course of history isn't easy, so use the art book and decals to remember everything that is and could have been. Those of you in Europe who pre-order or grab limited launch copies will receive an art book tucked inside the game case.